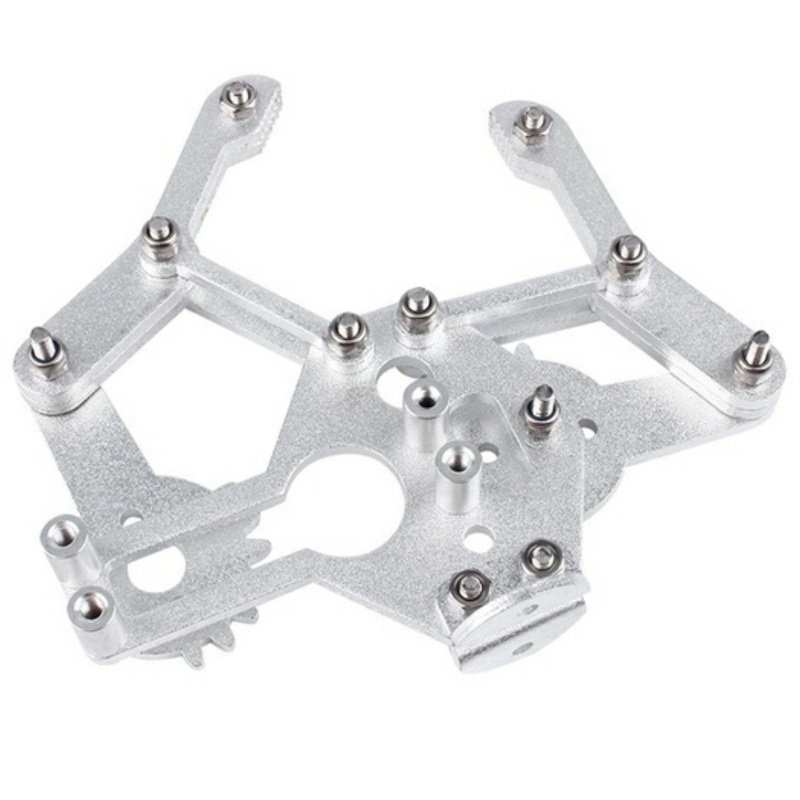 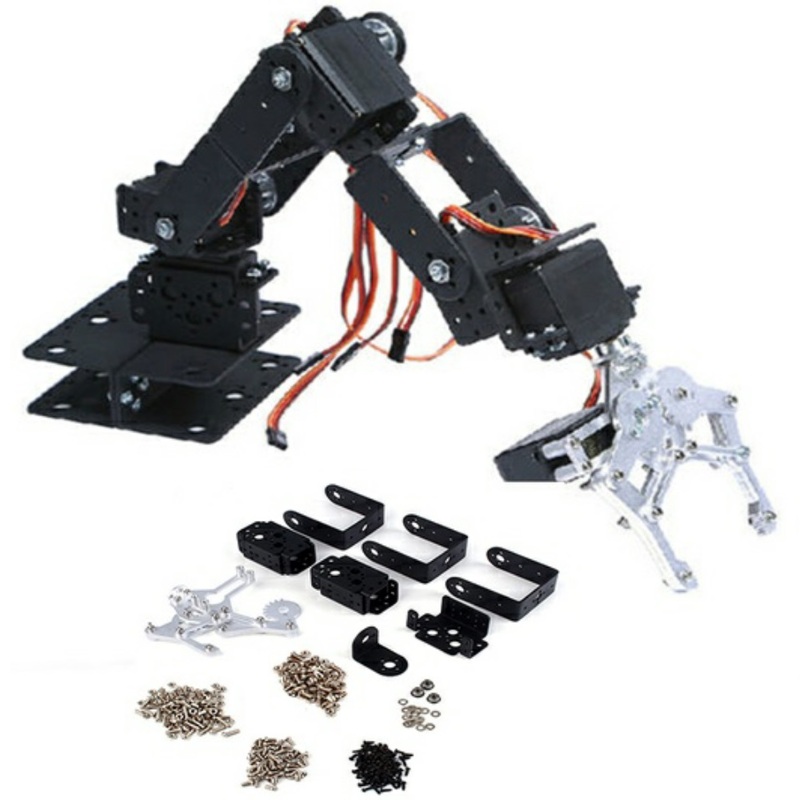 The 6 DOF Aluminum Robot Arm Kit, is a robotic arm system that has six degrees of freedom (6DOF) and a clew to pick up and manipulate objects within it’s environment. 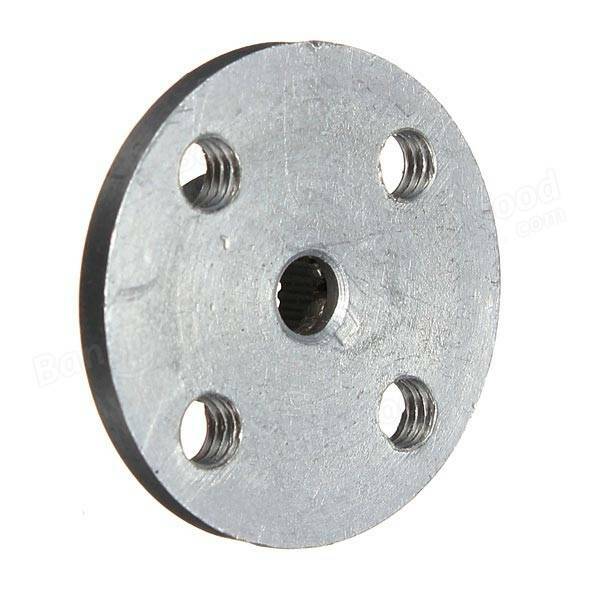 The mechanic links of the robotic arm are built using hard aluminum brackets, in different shapes with a multitude of predrilled holes for fixings and attachments etc. 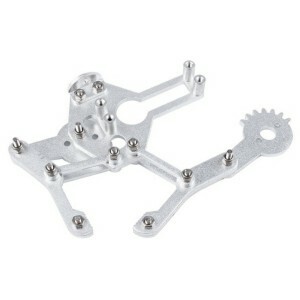 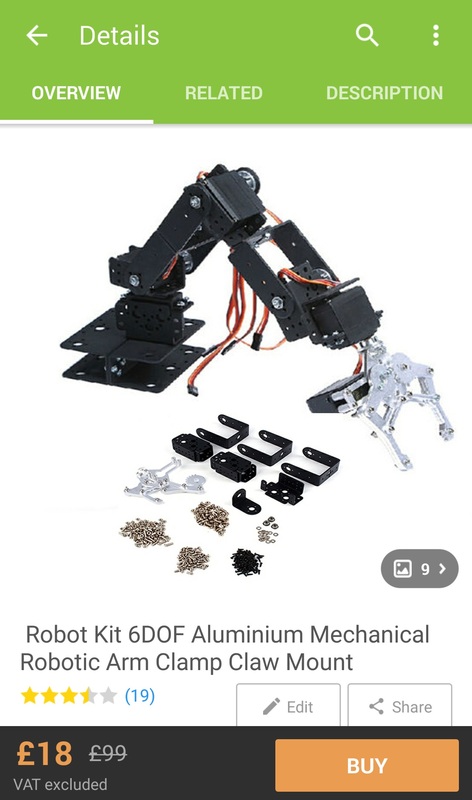 The 6 DOF Aluminum Robot Arm Kit, which I purchased from the GEEK app (Part of the Wish.com group. 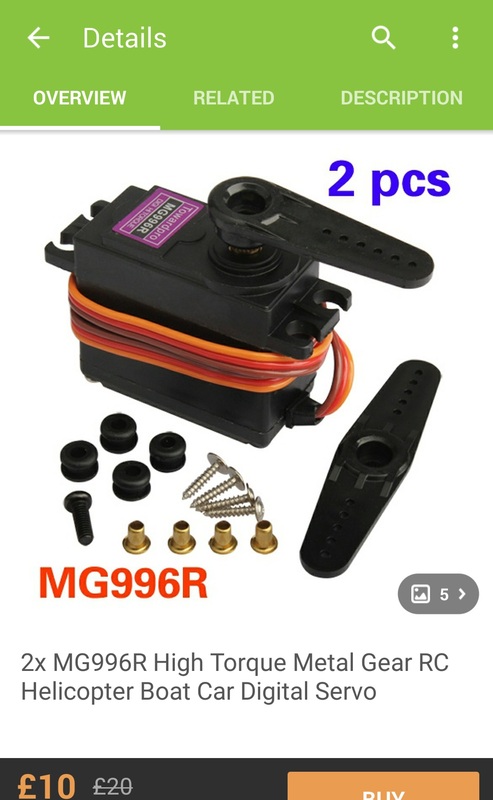 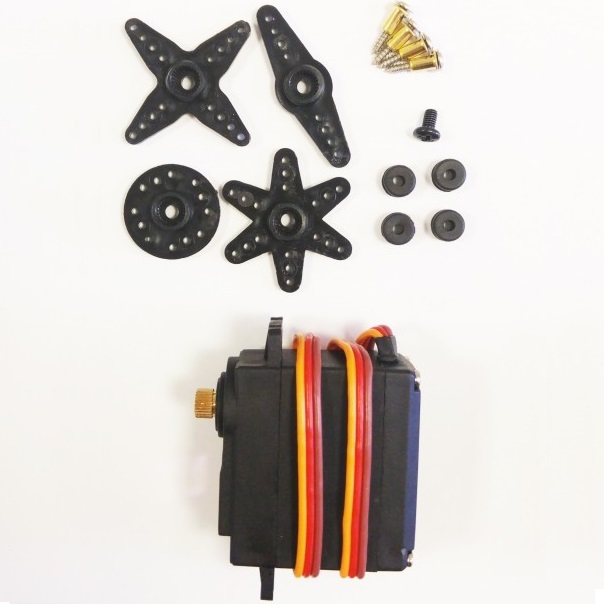 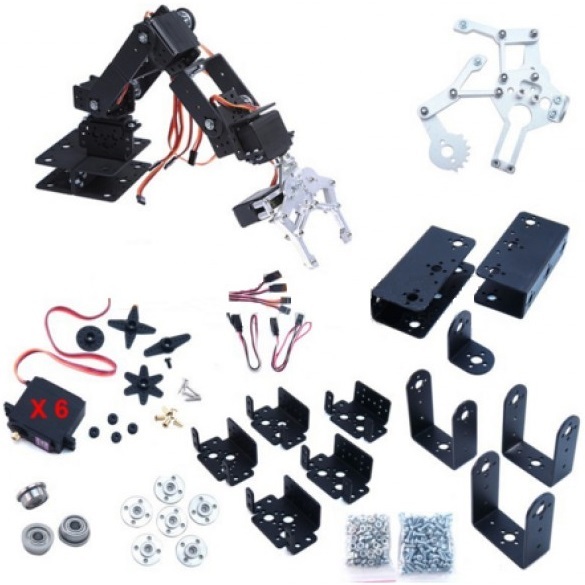 ), in this paired down version of the package, their are no servo motors to control the arm, no base for this this kit has been provided either, however it is considerably chipper than the full package. 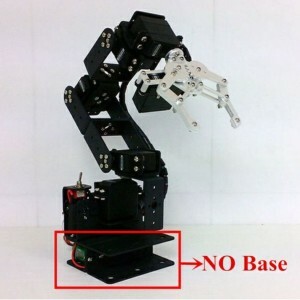 Therefor you will need to purchase your own servos and wires etc and buy or make a base for it site on, (Not that difficult) you will also need a microcontroller such as an Arduino in order to start using the robotic arm, by writing or downloading a program that controls the servo motors. Alternatively you could link every servo to a switch and control each servo individually. 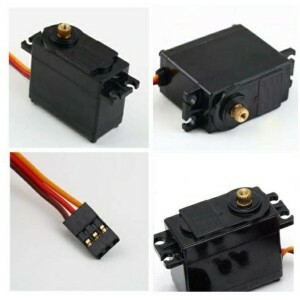 Although this type of circuit is simpler, in as much as you have a switch linked between the battery and the servo only, this would be more complicated in the long run and involve at lot of wires and a messier appearance in generally. 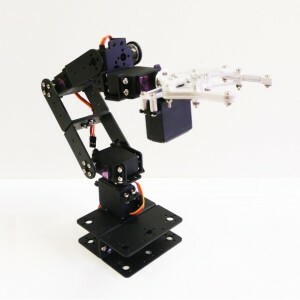 Where as the Arduino will allow you to pretty much control all the servos at once and it will regulate some of the power and be generally easier to manage. 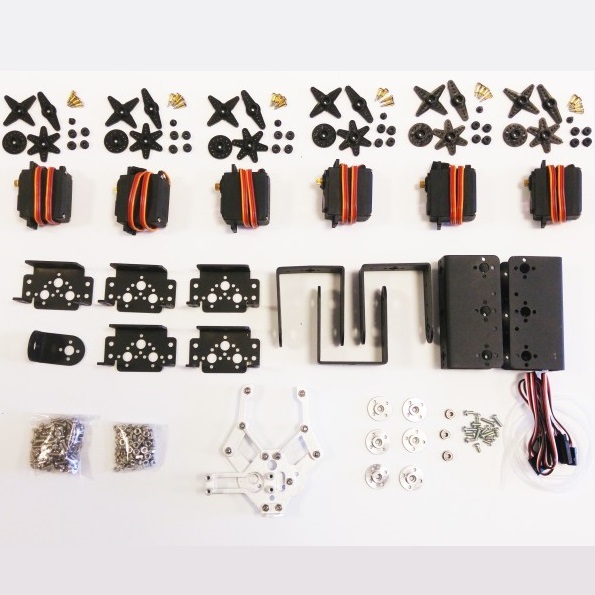 You can purchase a complete kit, servos, base, wires and all, from Robotpark for : £134.00 = €156.00 $175.00 – Plus P&P / S&H, to your country. 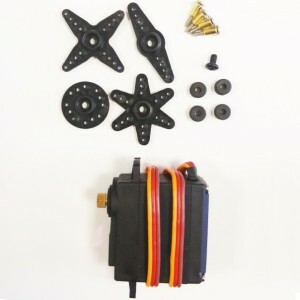 You can purchase a partial kit, parts and fixings only, from Wish.com for : £18.00 = €20.00 = $23.00 – Plus P&P / S&H, to your country. 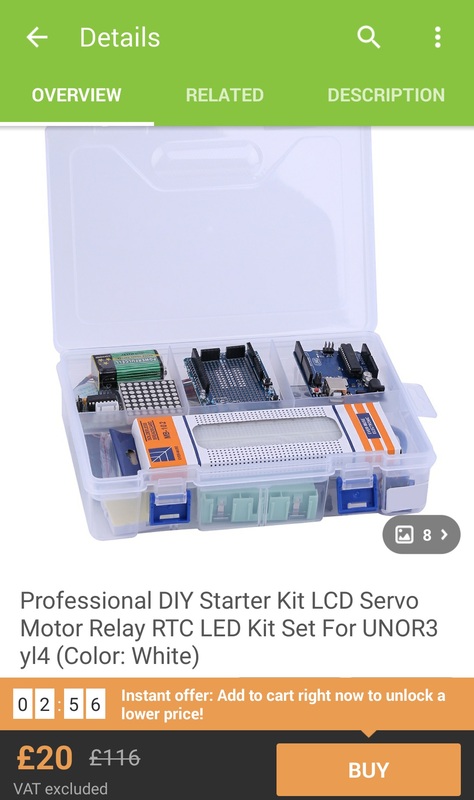 So which is the better value kit ? 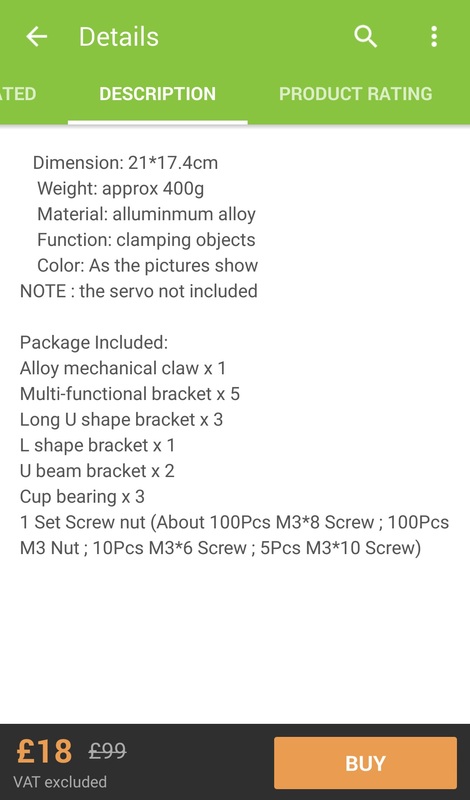 Lets break it down stage by stage. 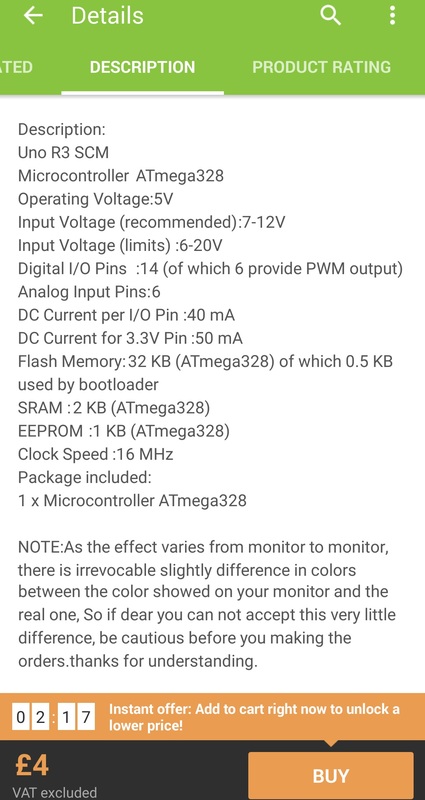 The partial kit comes with only the aluminum parts and the bags of fixings, please see the above pictures, all of which are from the GEEK app, all the images are original screen grabs from my Samsung Note III, the first two pictures show you the GEEK app, as you can see their are NO servos, NO base unit, NO wires and NO microcontroller e.g. 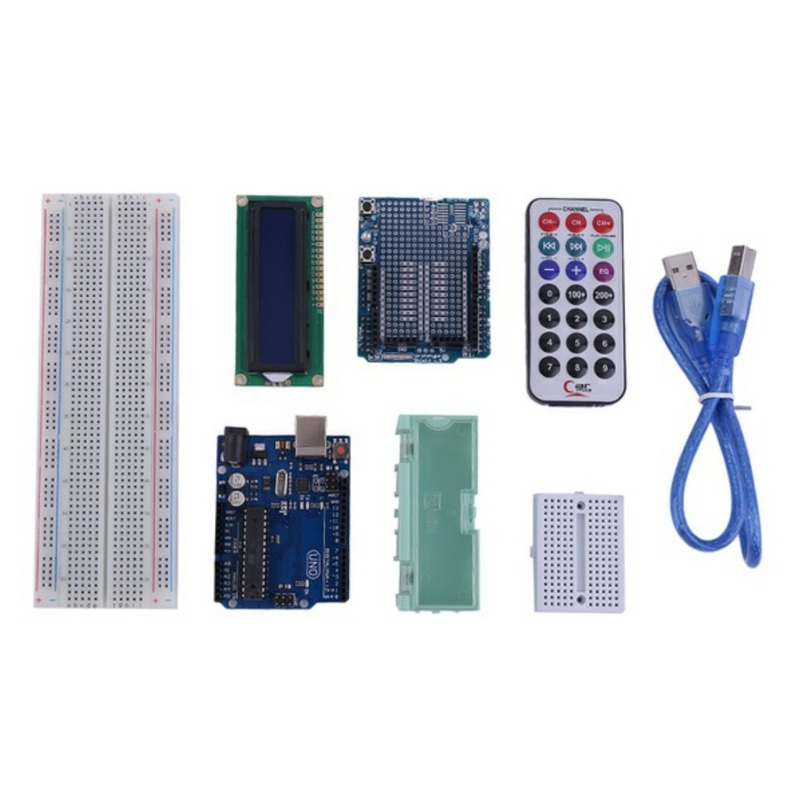 an Arduino or a Raspberry Pi. 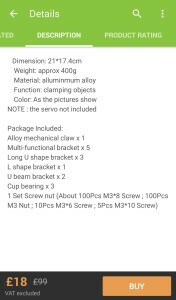 All of which you will have to purchaser separately, so lets take a look at the parts, their price and availability. 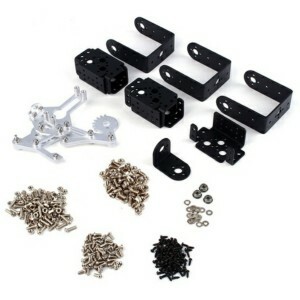 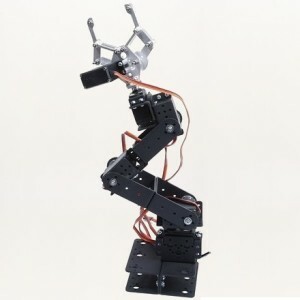 The The 6 DOF Aluminum Robot Arm Kit is designed to work with the MG996R Servos. 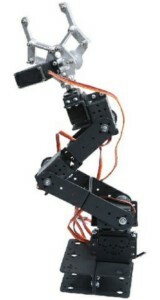 A quick internet search on Google.com will revile a multitude of places from which you can purchase these servos. 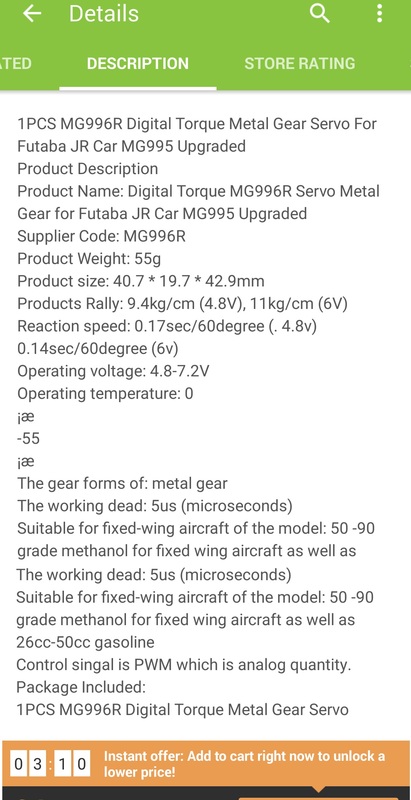 However the GEEK app / Wish.com does off some good deals, especial for multiple purchases, they work out to be around £5.00 per servo and you will need six, so that will be around £30.00. 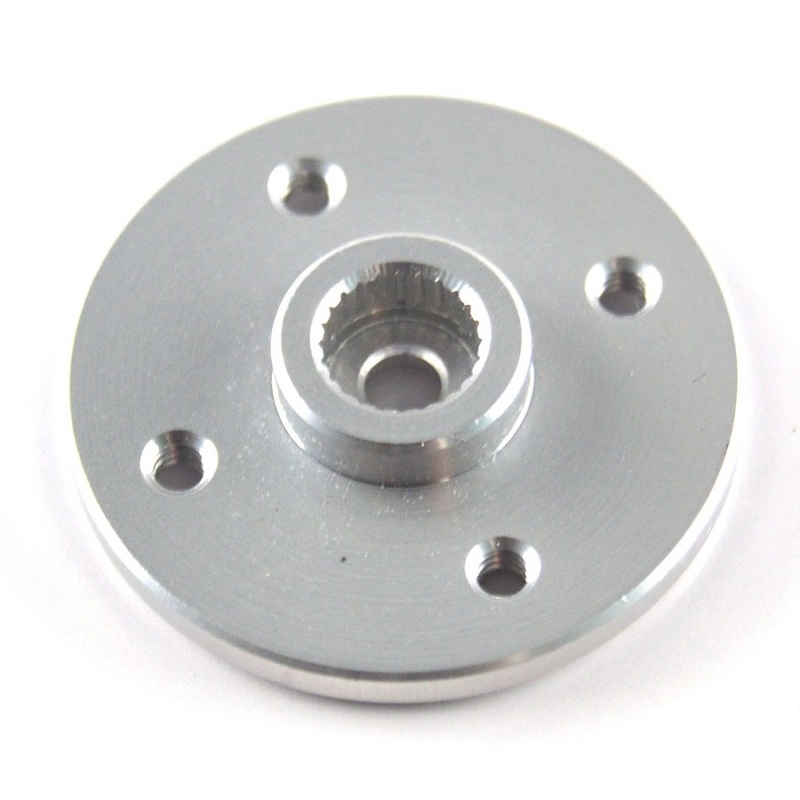 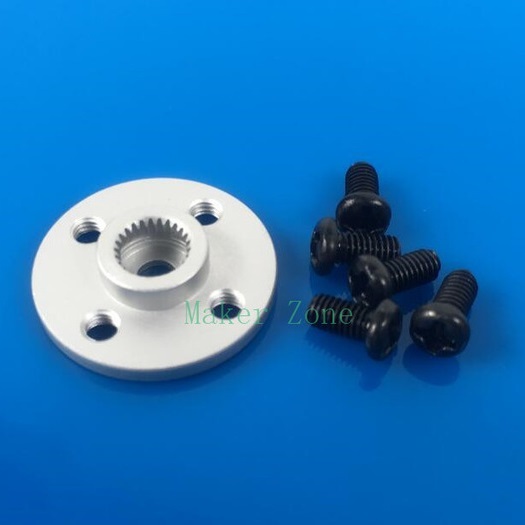 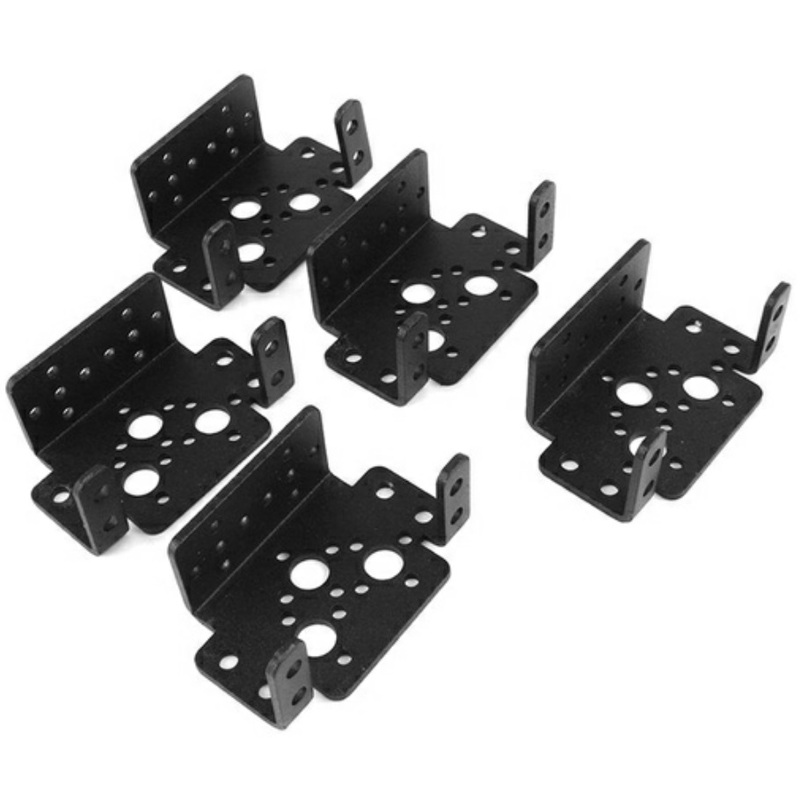 These lightweight metal servo hubs are ideal for attaching wheels, gears, or any other heavy duty servo horns directly to your MG996R servo. 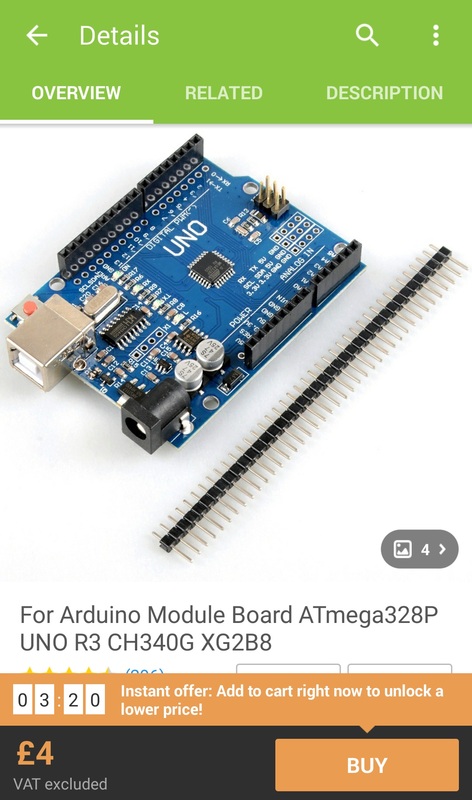 They range in price from around £0.99 to about £2.00 for a single hub, a quick search on google.com usually offers the best deals on these as well as eBay or Wish.com / GEEK app. 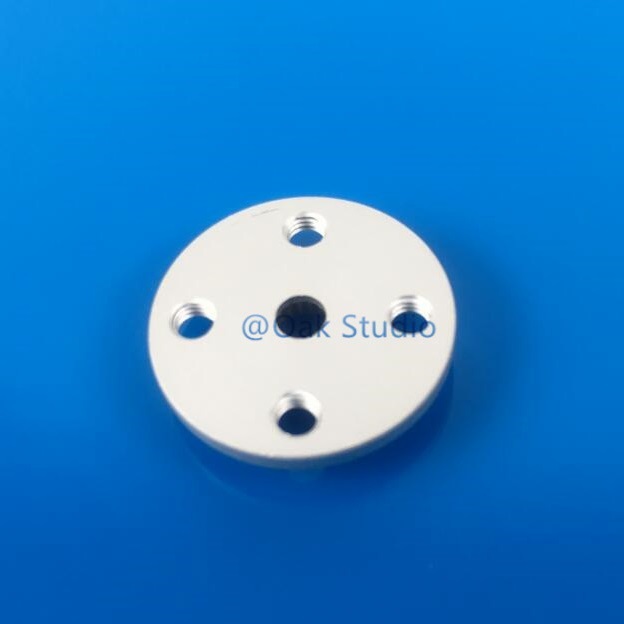 Material: aluminum alloy, the surface has received the silver oxidation treatment. 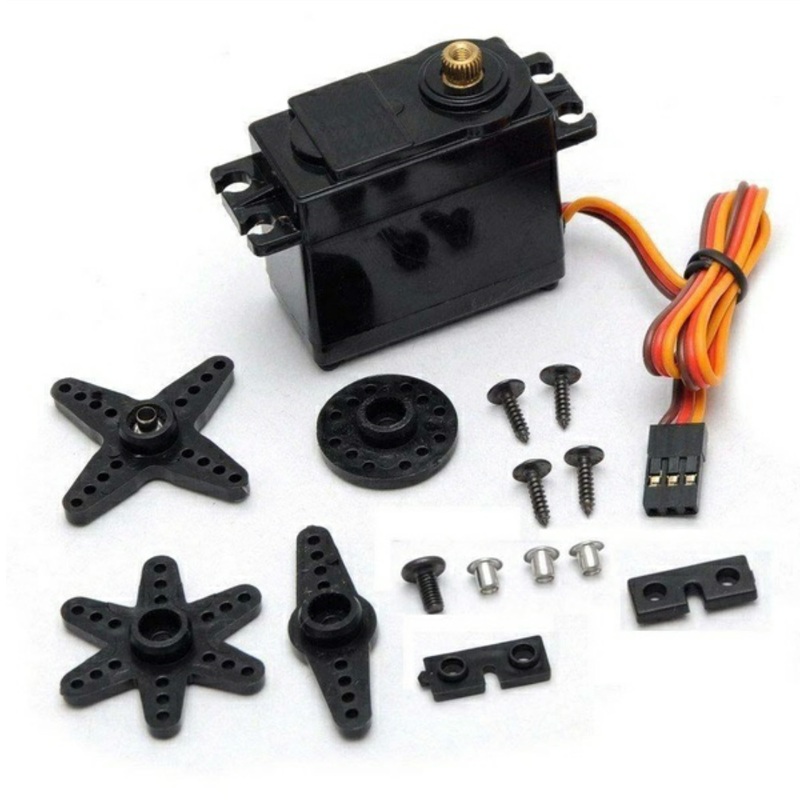 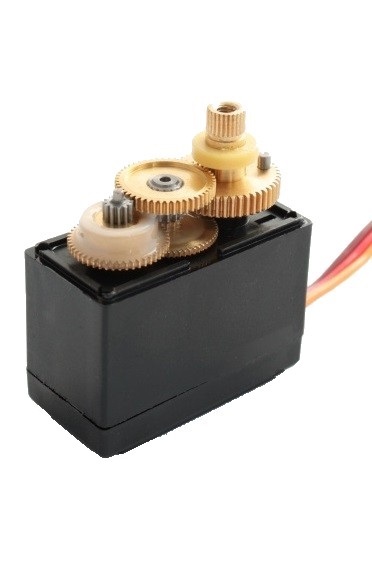 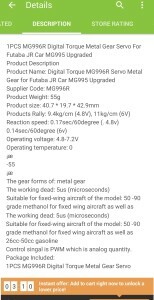 Suitable for the Common standard servo (size about 40mm*20mm*36mm), such as MG996R, MG995,DS3218 Servo etc. 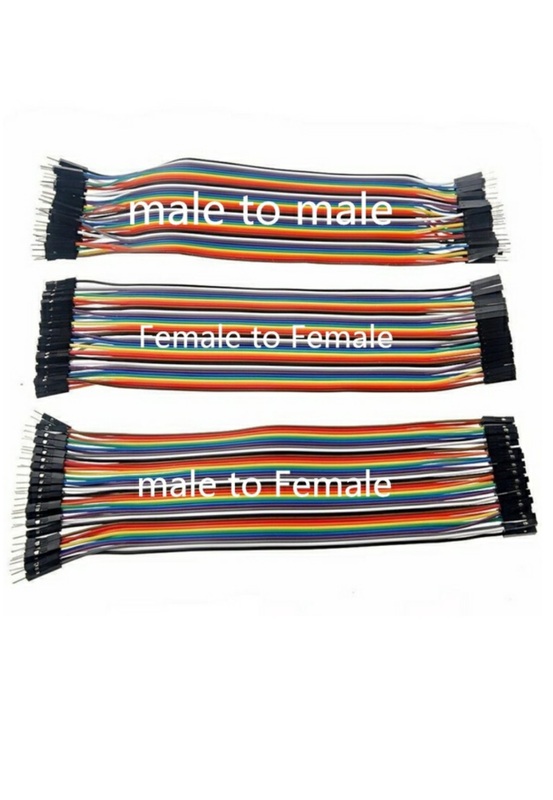 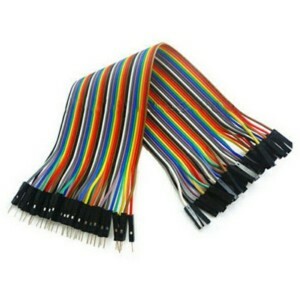 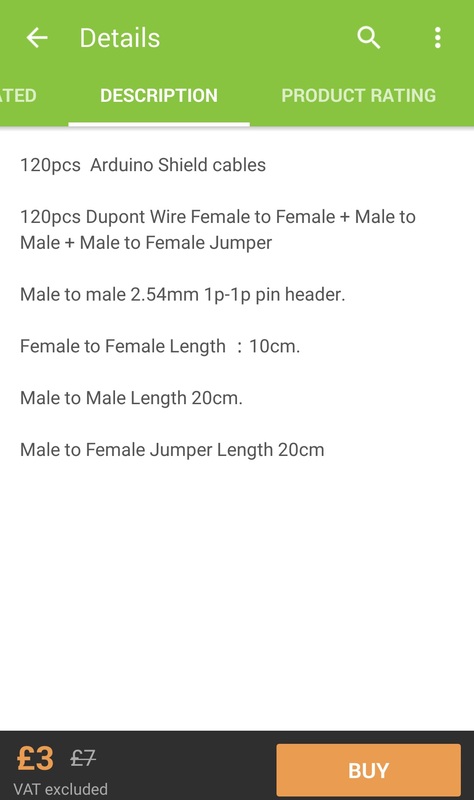 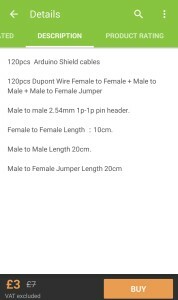 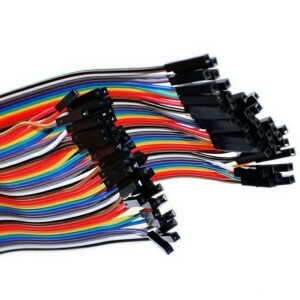 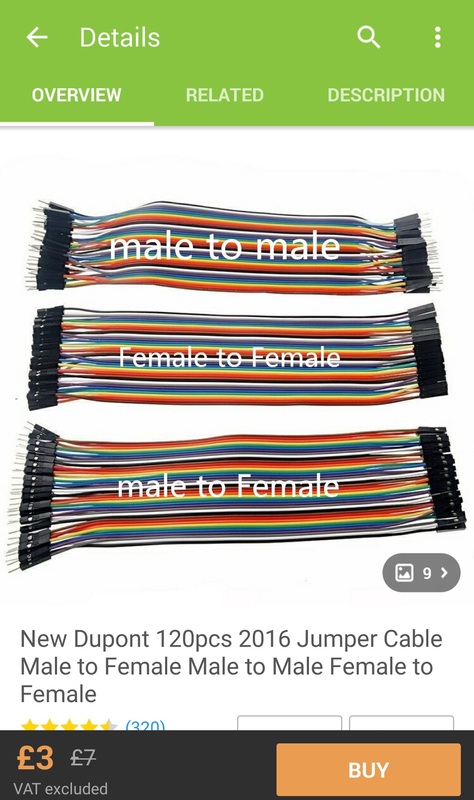 A jump wire (also known as jumper, jumper wire, jumper cable, DuPont wire, or DuPont cable, named after DuPont the manufacturer) is an electrical wire or group of them in a cable with a connector or pin at each end (or sometimes without them – simply “tinned”), which is normally used to interconnect the components of a breadboard or other prototype or test circuit, internally or with other equipment or components, without soldering. 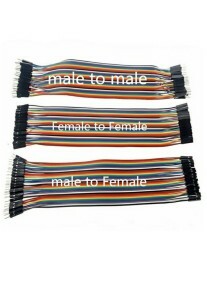 Individual jump wires are fitted by inserting their “end connectors” into the slots provided in a breadboard, the header connector of a circuit board, or a piece of test equipment. 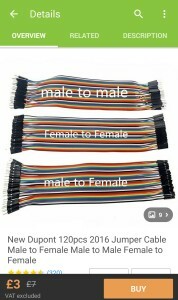 They range in price from around £1.50 to about £4.00 for a pack of them, quick search on google.com usually offers the best deals on these as well as eBay or Wish.com / GEEK app. 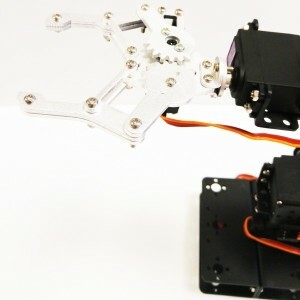 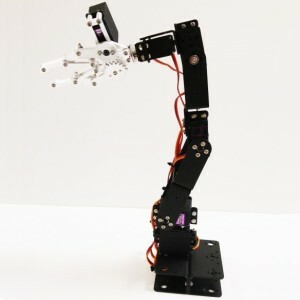 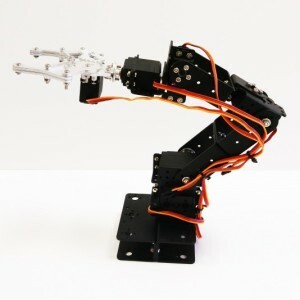 The 6 DOF Aluminum Robot Arm Kit is designed to work with a microcontroller of your choosing. 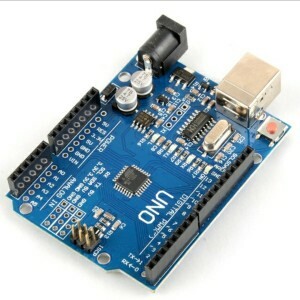 The Arduino specifically the Uno model would be the primary and logical choice, due to its ubiquitous nature, the large community of support, and its unprecedented value, in terms of reliability, durability, cost effectiveness and its compact nature. 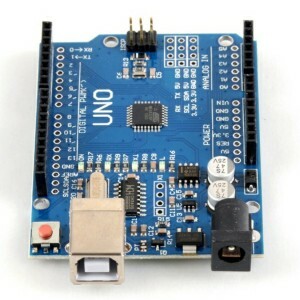 Again, a quick internet search on Google.com will revile a multitude of places from which you can purchase an Arduino Uno for approx £2.50 To £4.oo for the unofficial versions, (as Arduino is open source hardware) or you can purchase a starer kit including wires, jumper wires, components and power supplies, etc for around £15.00 To £30.00 depending on what goodies it comes with, a very basic kit with some jumper wires will be more than sufficient for this project, eBay or Wish.com / GEEK app usually offer the best deals on these. 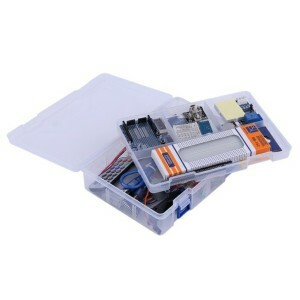 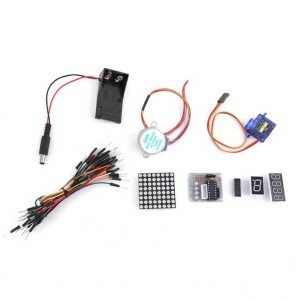 The Arduino Starter Kit, shown above is a fair representation of a typical starter kit for Arduino comprising some fairly stranded componentry for a kit of this price range. 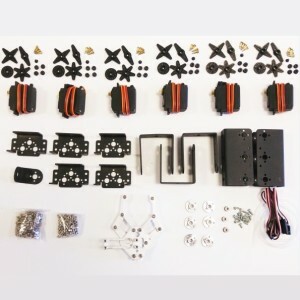 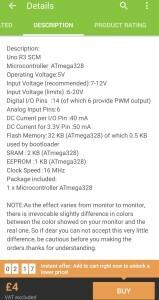 The second image from the left gives a complete package list of the contents, as not all of the components are shown especial the smaller and more numerous components such as resistors, LEDs, (Light emitting diode) buttons and sensors etc. you can purchase a starer kit including wires, jumper wires, components and power supplies, etc for around £15.00 To £30.00 depending on what goodies it comes with, a very basic kit with some jumper wires will be more than sufficient for this project, eBay or Wish.com / GEEK app usually offer the best deals on these.